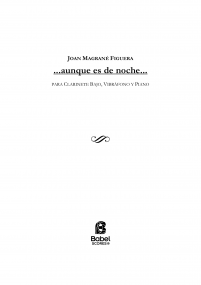 Born in Reus in 1988 Joan Magrané Figuera received his first composition lessons by Ramon Humet. He studied composition at the Esmuc (Barcelona) with Agustín Charles and in the Kunst Universität (Graz) with Beat Furrer. For his artistic development have been very important his encounters with Mauricio Sotelo and Jesús Torres. He has attended courses and master-classes by Pierre Boulez, Klaus Huber, Sofia Gubaidulina, Peter Eötvös, Salvatore Sciarrino, Helmut Lachenmann, Brian Ferneyhough, Keija Saariaho, Georges Aperghis, Alberto Posadas, José María Sánchez-Verdú, Hèctor Parra, Stefano Gervasoni, Luca Francesconi, Raphaël Cendo, Martin Matalon, Hilda Paredes, Aureliano Cattaneo and many others. 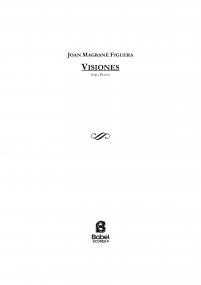 His works has been performed, among other places, in Vienna, Paris, Madrid, Barcelona, Genève and Lyon and played by the Quatuor Diotima, Bcn216, Jonde, Espai Sonor, Taller Sonoro, Mario Prisuelos, CrossingLines, Zahir Ensemble, S'ensemble, Esmuc Percussion Group and many others. 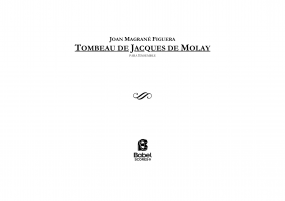 He has been awarded with the Premio Injuve a la Creación Joven 2010, the Premio Jonde-Inaem 2011, an Honorable Mention at the Premio de composición Carmelo Bernaola 2011, 3rd prize at the Franz Josef Reinl-Stiftung Composers Competition 2012, the Premio dal Ministro della Gioventù, Concurso Città di Udine 2012, an Honorable Mention at the Premio del Colegio de España-Inaem, Paris, 2012 and 1st prize at the Premio G.e.r.m.i. 2012. 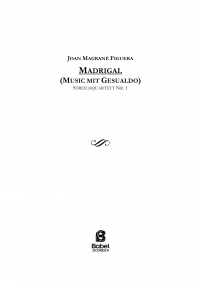 He has been selected for the Cátedra Manuel de Falla 2012, the Call for scores-boost! Darmstadt summer courses 2012, the Programme Voix nouvelles. 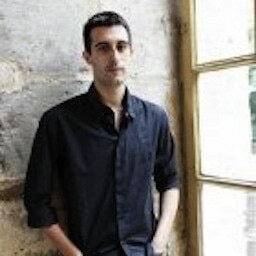 Foundation Royaumont, 2012, the Chamber opera workshop, P. Eötvös Foundation, 2013 and the Akademie Schloss Solitude, 2013.